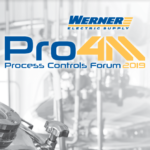 Laser-View Technologies, Inc. provides non-contact measurement sensors and systems for industry, solving your most challenging industrial applications with sensors, systems, and accessories. Dimetix laser distance sensors, manufactured by Dimetix AG, are rugged, accurate, cost-effective, and easily integrated into most customers’ control systems. Laser-View Technologies is the Authorized USA Distributor for Dimetix laser distance sensors. Dimetix laser distance sensors, manufactured by Dimetix AG, are great for size control applications. Dimetix laser distance sensors, manufactured by Dimetix AG, are a rugged, accurate, cost-effective way to measure levels in bins, tanks, and silos. We can effectively measure opaque materials without contact and from a far distance. 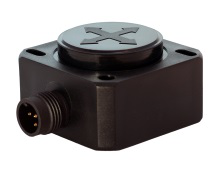 DIS-Sensors provides rugged sensors to address position, slope, level, and rotary position. Laser-View Technologies, Inc. is the North American distributor for DIS, doing business as DIS-Sensors-USA. 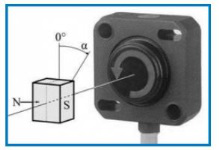 DIS ROTARY ENCODERS measure rotational position with no contact and are truly completely sealed. Our sensors do not require any shaft coupling. Dimetix lasers and DIS Inclinometers can be provided in packaging suitable for Classified areas. Laser-View Technologies provides classified rated enclosure for use with Dimetix laser sensors. Certain DIS Sensor products can be supplied with a European version of CL1 DIV2 for classified environments. Dimetix lasers and DIS Inclinometers can be provided in packaging suitable for harsher environments. 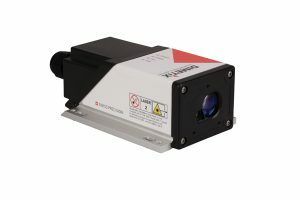 Laser-View Technologies provides NEMA 4x enclosures used with Dimetix laser sensors, that make the sensors more rugged on tip of the IP 65 rating they already poses. DIS Sensor products are rated IP67 and some even IP69K with wide operating temperature ratings. Dimetix laser distance sensors, manufactured by Dimetix AG, are rugged, accurate, cost effective, and easily integrated into most customers’ control systems. Laser-View Technologies is the Authorized USA distributor for Dimetix laser distance sensors. 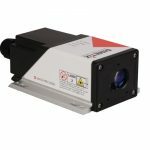 Crane Sentry product line is manufactured and marketed by Laser-View Technologies for crane collision detection, zone control, and positioning applications. 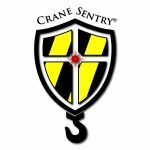 Typical usages for the Crane Sentry are to detect bridge to wall and bridge to bridge collisions, define restricted zones, and for positioning. 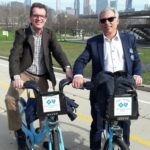 Laser-View Technologies, Inc. is the North American distributor for DIS.